Sakai Community DocumentationSakai 12 Administrator Guide (English) Job SchedulerHow do I purge softly deleted sites? Softly deleted sites are no longer accessible to users, but their files and tool content still remain on the server. To completely remove these sites and all of their data from the system, the administrator may run a Quartz job to expunge softly deleted sites. 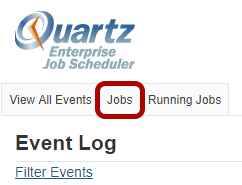 Select the Job Scheduler tool from the Tool Menu in the Administrative Workspace. Give your new job a name. In this example, we have named the job "Purge Soft Deletes." Select Expunge Softly Deleted Sites from the Type drop-down menu. Click on the Triggers link for the job. This will immediately begin the job to purge any softly deleted sites in the system. Click Run Now again to confirm. Click on Event Log to view the log. Notice that the Purge Soft Deletes job will be listed as fired and completed. Zoom: Notice that the Purge Soft Deletes job will be listed as fired and completed. 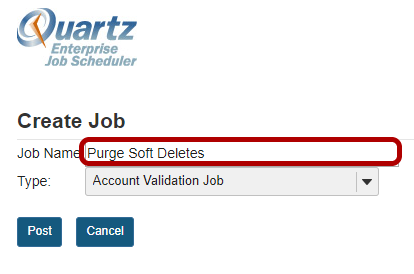 If you prefer to purge the softly deleted sites on a schedule, rather than by running the job manually, click the New Trigger button to add a trigger for the job scheduler. The new trigger for this job will be displayed. Zoom: The new trigger for this job will be displayed. Prev: How do I view running jobs?